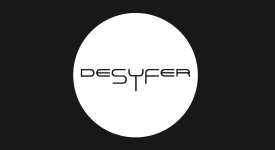 Label owner, music producer & DJ Spencer Hickson, aka Desyfer. Flashback to the late 80s; the onset of the North West rave scene; the upward spiral of the Madchester movement; and a teenager with a stash of tape mixes. Spencer embraced both the early sounds of acid with the influences of indie forerunners, Happy Mondays & The Stone Roses. The integration of alternative rock, acid house & dance that formed the bedrock of Madchester shaped Spencer’s music sensibilities & eclectic style. Both the landscape of music and the North West had changed, and with it came picture postcards of a new genre: “Blackpool 1990, a weekend where the sublime James & 20,000 revellers changed the traditional skyline with 24” flares, Reni hats & Oakenfold on the decks”. And Spencer was bang in the midst! By 1992 Spencer was promoting local club nights Relief, Utopia & Confession, and thanks to his obsession buying up vinyl, the aspiring DJ & his well-cultivated collection were headlining monthly club nights. The lack of anywhere local to source vinyl led Spencer to mastermind & back the opening of music store ‘Industry Dance Music Specialists’, which in turn led to the launch of a shop-based studio and collaborations with industry-expert Mike Bell (production manager & sound engineer, Bell went on to work with the likes of CJ Bolland, Babyshambles & Brazilian band CSS). Between 1995 and 1997 Spencer & Bell released Omnia’s ‘Embryonic’ (Solid Silver Recordings), ‘Transparent’ by Blue Ice (Koncept Records); as well as a remix of Tarantella’s Myobadobe Mix (Wonderboy). By the mid 90s Spencer was no novice producer. His club work had him well placed amongst diverse & exciting counterparts, all with a common interest at heart - the music! 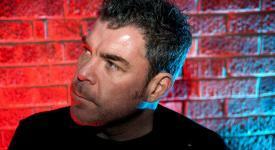 In 1994, a chance introduction with DJ & music producer Scott Latham led to the merging of two like minds. That same year Scott & Spencer were approached by label Solid Silver Recordings to create a track for DJ Sasha. Under the collaborative name Phoenix the debut EP ‘Rise Up’ found its way onto Radio 1’s Essential Mix, was given an exclusive red vinyl run in response to high sales and found its way to the front of Sasha’s bag becoming a favourite 1995 set-opener for the DJ. It was a huge club & collaborative success but unfortunately a collaboration on which the curtains tragically fell with Scott’s death in 1996: “A true pioneer, so ahead of his time. He’s still missed”. In 2007, in commemoration of the 10th anniversary of the music world losing a genius, ‘Rise Up’ was revised, given a fresh vinyl run & digitally released. It was immediately signed by new label, Northern Exposure Recordings, sister label to Hooj Choons/Solaris Recordings, finding its way back onto Radio 1’s Essential Mix with massive success over ten years on. And not the first time Spencer has celebrated track success twice over. 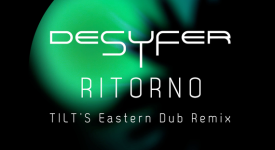 In 1999, under new artist name Desyfer, came the trance-tastic Gatecrasher anthem ‘831’ featured on the club brands ‘Wet’ compilation CD, as well as fronting the Gatecrasher TV ad campaign. 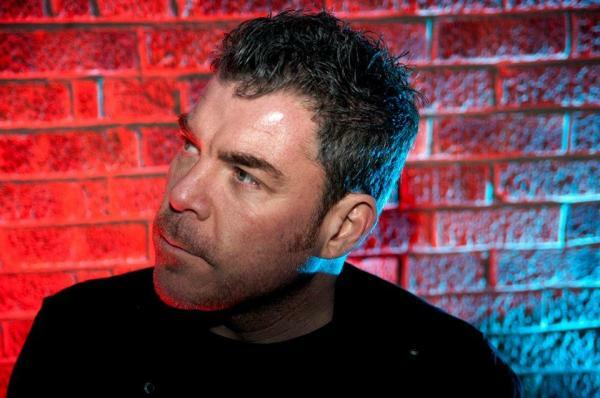 With a place on Paul Oakenfold’s Essential Mix World Tour from Shanghai, an anthem comeback was inevitable and in 2006 Solaris released the X-Cabs, Paradox ‘831’ & Fletch remixes. Fletch, co-producer & friend, went on in 2008 to collaborate with Desyfer under joint name Sundogs who successfully debuted with track ‘Primary Key’ (Brown Eyed Boyz Records) - including remixes from Lea D & Proff, the track featured on Pete Tong’s Bedroom Bedlam Chart, Proton Radio & the Fast Trax Show and attracted widespread support from the likes of Jaytech. Following a 2008 remix of ‘Strata-Metamorphosis’ (Canadian label Reticent Recordings), Sundogs real success came in 2010 - warming up with Fletch’s ‘Honeycomb featuring Sundogs’ & Desyfer remix (Lyon Echo Records), Sundogs ‘Circumzenithal Arc’ (Tactal Hots Music) was described by Dave Seaman as ‘one big tune…setting floors alight all over the world’ and became a set favourite at Privilege/Ibiza & Eleven Club/Tokyo. The co-producers have also enjoyed screen success after being commissioned to produce the exclusive music for the Yell.com TV advertising campaign - a 2011 update of the iconic yellow pages ad ‘Fly Fishing by J.R.Hartley’, where former trance DJ, Day.V.Lately, tracks down early 90s ‘Pulse & Thunder’ record. The track was released by Yell’s spoof label, Found Records, but spoof or not, the track got national airtime from Nemone on BBC’s Radio 6, XFM’s Eddy Temple-Morris, Annie’s Mac’s/Radio 1’s Big Weekend (playing the Riva Starr remix) and ‘found’ its way onto Ministry of Sounds compilation album ‘Back to the Old Skool’. And again, not a first for Spencer with screen success in 2009 after several Desyfer tracks were selected to feature on the soundtrack for UK movie ‘City Rats’ starring Tamer Hassan & Danny Dyer (Out of the System, Tula, Ambient Voyage Mix & 831 Xcabs Remix). With releases spanning the late 90s & noughties the launch of his own label was a natural progression for Spencer and in 2010 came North West digital label Tactal Hots Music - a fitting tribute in anagramming the name of a friend & mentor, Scott Latham. Led by Spencer the label hosts some of the best producers globally with acclaimed DJ’s worldwide playing Tactal Hots tunes. From its first signing of French producer Eric Franchet, Tactal Hots, together with new sister label, Environment (2011), now boast in excess of 30 new releases of popular club hits & underground classics. 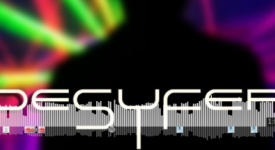 Whilst house & electronica have been Spencer’s mainstay, both his labels sign & showcase sounds of house, progressive house, electronica (ambient to dubstep), indie, rock indie as well as pop. Into 2012, Tactal Hots continues to thrive, celebrating multiple successes in the Release Promo Hype Chart. 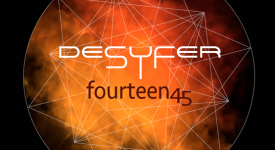 Desyfer’s own release ‘Then Again feat.Jesse’ has gone remix mad, and in particular the Desyfer v Hypnosis playoff, aka Richard Wheatley (you will have caught him touring with The Streets), is definitely not one to miss! Spencer, aka Desyfer. Label owner, music producer & DJ. Spencer has been writing & producing quality electronic music since the early 90’s and has received fantastic support from Sasha, John Digweed, Jimmy Van, Paul Oakenfold, Jaytech, Solarstone, Scott Bond, Nick Warren, Quivver, THG, Pezz, Steven McCreery, Luke Chable, Anthony Pappa, Lemon8, Deep Z, Sasha le Monnier, Ryan Luciano & Dave Seaman!